In anticipation of renewed talks between Iran and the P5+1 (the nuclear-armed permanent members of the U.N. Security Council - Russia, China, France, Britain and the United States - plus Germany) being held later this month in Almaty, Kazakhstan, anonymous Western officials have revealed a new "plan to offer to ease sanctions barring trade in gold and other precious metals with Iran in return for Iranian steps to shut down the nation's newly expanded Fordow uranium enrichment plant." First, recall that the reason Iran has resorted to a gold-for-oil barter system in the first place is because of the myriad unilateral sanctions implemented by the United States and the European Union that ban all cash-based trade for Iranian gas and petroleum. Then remember that the Fordow enrichment plant is a legally safeguarded facility that former IAEA Director-General Mohamed ElBaradei described as "nothing to be worried about." The IAEA has consistently confirmed that "all nuclear material in the [Fordow] facility remains under the Agency's containment and surveillance," an assessment that to date, remains to be true. But obviously the fact that it is nearly invulnerable to military attack is all that really matters. So, basically, the proposal is for Iran to voluntarily shutter and dismantle the only enrichment facility the United States can't destroy at will (and cease its concomitant enrichment of uranium to levels necessary for cancer treatment and research) in exchange for maintaining the annoying sanctions-evading trade loophole with which they already have to cope. Even the unnamed officials who leaked the news to Reuters "acknowledged that it represents a relatively modest update to proposals that the six major powers put forward last year." Beyond this, the Western demand to close Fordow is a non-starter, as Iranian officials have often noted. Yet, incredibly, such an offer is even more patronizing and ridiculous than it seems. Before explaining why, a quick review of the various sanctions against Iran may be in order. Four rounds of increasingly stringent United Nations Security Council sanctions were imposed on Iran between 2006 to 2010. These were known as "targeted sanctions" and mostly affected the sale of nuclear and missile technology. The last U.N. sanctions resolution was the harshest, essentially making it easier for countries that wanted to to ban their countries companies from working with the Iranian energy industry, authorizing trade credits and shipping insurance, and conducting financial transactions with Iranian banks. But no country was forced to ban such interactions with Iran. No new U.N. sanctions have been imposed since then. In the intervening years, the oft-repeated phrase "crippling sanctions" refers to unilateral U.S. and E.U. sanctions. These newer sanctions - enacted through Congressional resolutions and Presidential executive orders - are primarily trade sanctions and sometimes authorize the seizing of personal assets of certain Iranian officials and the blacklisting of private and state companies. Sanctions on Iranian banks - namely the Obama's February 2012 executive order regarding Central Bank of Iran and others - have had the most detrimental effects to the Iranian economy and people. These sanctions freeze international transactions, seize assets (ie. steal money) and prevent oil and cargo shipping - basically, in many cases, Iran isn't able to pay for goods and services and its banks can't process revenue from its energy sector. As a result, Iran has resorted to an international barter system to keep its economy going. Still, while medicines and food for example aren't explicitly prevented from being shipped to Iran, these sanctions make it extremely difficult for Iran to actually pay for the goods it needs. The result is the collective punishment of a civilian population of over 70 million Iranians. As the Woodrow Wilson Center's Siamak Namazi recently concluded in a report on the effects of the Western sanctions regime, "Washington and Brussels' stated intention that sanctions 'pressure the Iranian government…without contributing to the suffering of the ordinary [Iranians],' as former Secretary of State Hillary Clinton once put it, is not being reflected by the reality on the ground." tightening up of sanctions" due to the "overwhelming obstacles [placed] in the way of humanitarian trade," Namazi wrote. The United States has also bullied the E.U. into forcing the international financial transaction clearinghouse SWIFT to expel Iran, making it nearly impossible for dozens of Iranian banks to do business with the rest of the world. American and European sanctions are effectively set up to punish not only Iran, but also other countries that continue to do business with Iran, thereby forcing most of the world not to trade with Iran (a better term would be "embargo). So, which of these sanctions are to be lifted under the new P5+1 offer to Iran in exchange for closing Fordow? The answer is none of them. 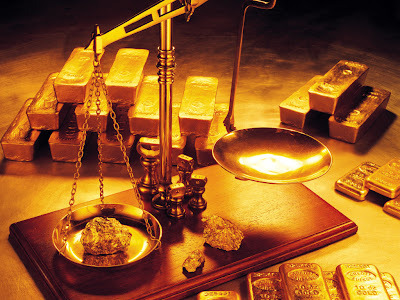 On July 31, 2012, Barack Obama signed an executive order which, among other things, authorized the U.S. Treasury Department to sanction anyone who transfers not only cash, but also gold or other precious metals, to Iranian institutions. A few months later, it became clear that a massive gold-for-oil trade had been established between Iran and Turkey. Turkey, a member of NATO, receives 18% of its natural gas and 51% of its oil from Iran and has long been lending the Islamic Republic banking assistance and facilitating trade deals with developing nations such India, much to the chagrin of the United States. On February 6, 2013, the Treasury sanctions signed last July went into effect. The provisions of the order "significantly increase economic pressure on Iran by restricting Iran's repatriation of oil revenue" by "effectively 'locking up' Iranian oil revenue overseas," "sharply restrict[ing] Iran's use of this revenue for bilateral trade and severely limits Iran's ability to move funds across jurisdictions." As a result, Reuters reported on Friday February 15, gold exports from Turkey to Iran have stopped. "You could say that the United States has achieved its aim," an anonymous Western diplomat told the wire service. "If Turkey is going to continue energy imports from Iran, there is no other way to go than trading sanction-free goods." Such news puts the alleged P5+1 proposal to lift sanctions on the gold trade - leaked on the same day as the Reuters report - in proper perspective. The potential easing of sanctions which have now been in effect for less than two weeks in return for closing the Fordow plant - a U.S. demand since Iran announced the facility to the IAEA in September 2009 - is patently absurd. Not only is the move clearly more of a boon to U.S. ally Turkey and good friend India than it is a gesture of goodwill toward Iran, it comes at a time when European courts are striking down unilateral sanctions on Iranian banks as illegal and Iranian impressive scientific and technological progress demonstrate the impotence and futility of the U.S.-led sanctions effort. If the new round of negotiations in Almaty are to be productive, the P5+1 should take a more serious approach to diplomacy, because if this offer is any indication, Iran won't be taking their proposals very seriously. Nor should it. February 18, 2013 - A report in today's Financial Times appears to vindicate my contention that the lifting of limitations on gold-for-oil trade has far more to do with Turkey than it does Iran. FT's Gideon Rachman writes, "The idea may have been designed to help Western allies – notably Turkey –as much as to alleviate Iran’s economic isolation." With Turkey’s oil and gas purchases from Iran rapidly plummeting, with a long term mutual pipeline deal, "few reserves of its own," and the Syrian civil war's continuing violence, "Turkey’s situation amounts to more than just a passing concern to the US and its allies." This "explains why the US and its allies might be interested in taking a step back on the gold sanctions that target Iran and, almost as explicitly, Turkey," Rachman concludes. "What it doesn't do is show how the latest trial balloon would add up to a compelling offer for the Islamic Republic." Earlier today, Iran's Foreign Ministry spokesman Rahim Mehmanparast responded to the alleged offer. "Lately they have said 'Shut down Fordow, stop enrichment, we will allow gold transactions.' They want to take away the rights of a nation in exchange for allowing trade in gold," he said, adding, "We are ready for negotiations, negotiations that have a logical approach which officially recognizes our rights completely. Of course steps must be concurrent and of equal weight."